Our Client’s Rights Will Not Be Infringed Upon, Period. Passionate about making sure our client’s rights are not infringed upon. We’re a Boise DUI Defense Firm located in downtown Boise, Idaho. We pride ourselves on ensuring our clients get the aggressive, experienced advocacy that they deserve. If you’d like to speak with one of our attorneys, please don’t hesitate to call us now. Phone consultations are always free. Glenn Godfrey is an experienced DUI attorney passionate about making sure his client’s rights are not infringed upon. He can help any driver accused of DUI win their case, keep their job, and preserve their freedom. With decades of experience, Glenn can and will aggressively fight any charges brought against you. Every case that comes into our office undergoes a thorough intake analysis resulting in a unique and comprehensive strategy for success. Glenn graduated from the University of Idaho College of Law in 2001. 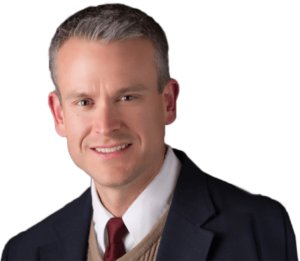 He has been practicing law in Utah and Idaho for over 15 years. Give us a call today, we CAN help.